You might be wondering why a “group-hostile” church would even ask me to help them build groups. Reality is, they do not see themselves as group hostile, but I do. So allow me to unpack each of these and see where your church is these days. Group-focused: In this church groups play a central role is spiritual formation and providing a sense of connection or belonging (I won’t get too caught up in terminology at this point). Church members and regular attendees are very aware groups exist and usually know how to get involved in one. Even most visitors will have some exposure to the idea. It is part of the philosophy of ministry, part of the DNA, regardless of the level of actual participation. There is dedicated staff and core volunteer support, with a mandate to grow groups or various kinds so people can have a variety of experiences in community. Group-proficient: This church views groups as helpful, knows what they look like and how to lead them, and sees them as a vital option for people (along with classes, serving and other growth environments or experiences.) Groups are advertised, are peppered throughout the church, and usually have some kind of staff or key volunteer support. Group life may not lie at the center of the church strategy for making disciples, but groups are nonetheless close to that center and many members will be in them (or were in them) at some point. Group-wary: Such churches are exploring group life but are not sure where groups fit in, whether they will create tension or competition with other ministries, if they will be too “psychology” focused, or will create a life of their own and become little islands separate from the larger body. There is a sense that groups work, but fear that they might cause more problems than they are worth. 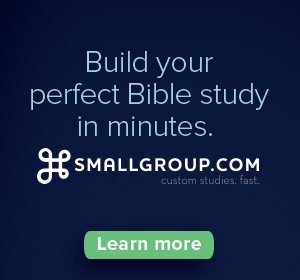 Group-hostile: A church that is “hostile” toward group life – yet still asks me to help – is usually a church that 1) is still recovering years after a really bad group experience, 2) cannot imagine a small group without an intense bible-study focus, has virtually no culture/value of community life anywhere in the church, 4) does not believe in any kind of official church meetings off campus, and/or 5) has senior leadership that is highly controlling or has a fear-based theology, ignoring the priesthood of all believers. To be clear, ANY of these four can experience varying levels of group friendliness. Even a “group-focused” church may tolerate only certain kinds of groups and be quite averse to others. Some have a one-size-fits-all approach, and your ideas may not fit. Or, despite the prevalence of group life, there is little structure, vision, resourcing or training to support the effort. As a result, groups flounder, new people cannot connect, or a kind of elitist mentality develops among the already connected. And, at the other extreme, a “group-hostile” church might be more “group-friendly” than first appears. I have often found that there are groups everywhere in almost any church – people just don’t see them as such, because they have a pre-conceived notion of what constitutes a small group. In other words, there is no small group “program” (about which there may be fear or hesitancy to launch), but people are “grouping” without much resistance. (To be sure, some churches think small groups are part of some Satanic ritual, and definitely DO NOT invite me to help!). 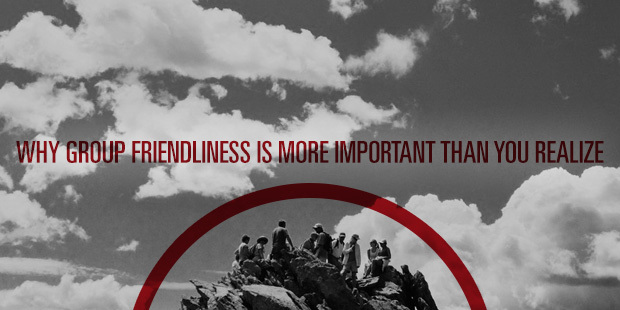 Here 5 ways for any church to increase its group-friendliness. 1) Create a culture for community. Teach the value of relational, spiritual growth as vital to the church. Offer groups as a way to experience this. 2) Support the effort. Provide staff (or quality volunteers), ample financial resources, training, communication and times for celebrating transformation of lives though groups. 4) Get personally involved. Launch a new kind of group yourself group. No need for a big announcement and banners in the hallways. Get a few people together around you – you should lead the early efforts. 5) Be patient with resistance. 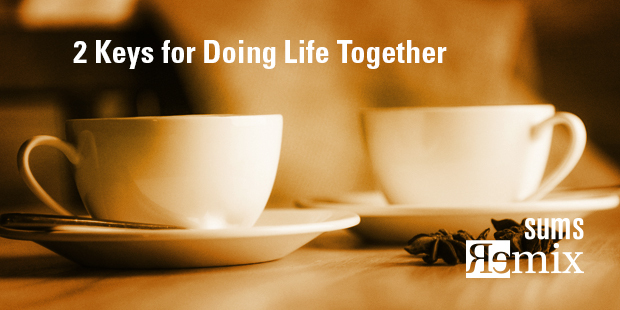 As I often tell leadership teams I work with, “Building this ministry takes a thousand cups of coffee.” Sometimes this only grows one conversation, one prayer, one leader, one member, one meeting at a time. 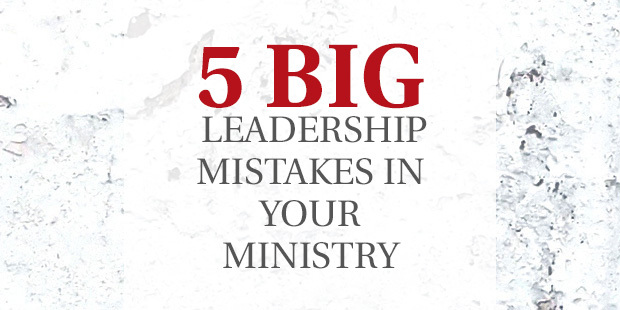 Not every ministry looks like the church in Acts 2 on the first day. Ask most church planters, especially in multicultural settings, about perseverance! So where is your church? What needs to happen for you to become more group friendly? I don’t think my pastor understands what I do or believes my work and ministry matter. This oft-repeated, sad comment reveals bad theology and, more sadly, the neglect of church leaders. How can we ignore the ministry and work of so many people, often leaving them to believe their lives, work and ministry are less important than the paid staff? I just returned from a weekend retreat to discuss “vocation” with Steven Garber of the Washington Institute for Faith, Vocation and Culture. We discussed this issue at length and why the church still has so far to go in valuing people’s work and calling in the ordinary everyday world. Speaking specifically about our occupations, Garber mentions friend and pastor Tom Nelson, author of “Your Work Matters,” as one who gets it right, a leader who needed to repent before his large congregation of his ignoring their work and not supporting their ministry. Here’s a few minutes of his story and why he wrote the book. 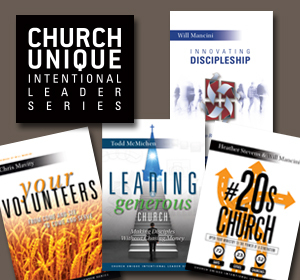 Does your work matter to your church leaders? 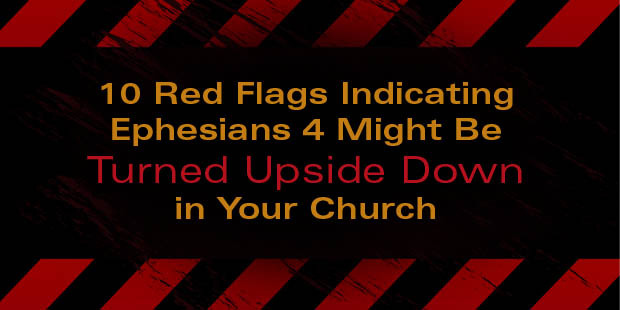 Here are 10 red flags suggesting there is a problem and that maybe Ephesians 4 has been turned upside down. 1 – The staff consistently pleads for more volunteers to help them do their work. 4 – “Success” is measured primarily by attendance at services, dollars donated, buildings completed, and how staff members have met their ministry goals. 5 – When there’s more ‘ministry’ to be done, plan A is hire more staff who recruit people to their team. 7 – The “pastoral prayer” almost never includes a blessing or intercession for people who labor in the name of Jesus each week in their daily work, except maybe on Labor Day weekend. 8 – “Ministry” is defined primarily as that which is done in programs officially sponsored by the church. 9 – Reports about “how we are doing as a church” are limited to updates about finances, building programs, or peak attendance at holiday services. 10 – High capacity people and influential community leaders (particularly the wealthy who “have the gift of giving”) are only viewed as potential board members or donors, not as people to partner with as they use their vast influence, skills and experience to impact to shape our world for the gospel. (One executive said, “Basically, the message I get is, ‘leave your work at the door, but be sure to bring your wallet.’” – Yikes! To turn this around leaders and members alike must recover a biblical understanding of vocation, work and “ministry.” And we must pray with and for those who labor in their ministry – their calling—every day, everywhere. LEADERS: For one pastor’s journey into this transformation that helped him reframe how he viewed his calling and the work of the congregation, please read this short article in Christianity Today. >> Read more from Bill. 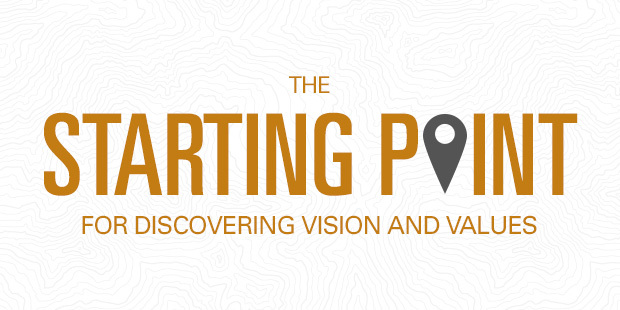 Great content and perspective that complements marketplace and career ministries. I sat in on a meeting at Willow Creek recently while Bill Hybels was casting some vision for the church’s new connection strategy…helping people find a place of friendship based on where they sit on weekends, then inviting them to connection events and gatherings. It is not a new strategy; many of you have used this for decades with a twist or two in the method. And some of you will remember we taught this for years to group life to point leaders, encouraging them to “Leverage Your Auditorium” as a strategic step for connection. But some churches are still missing an opportunity to connect people at weekend services. 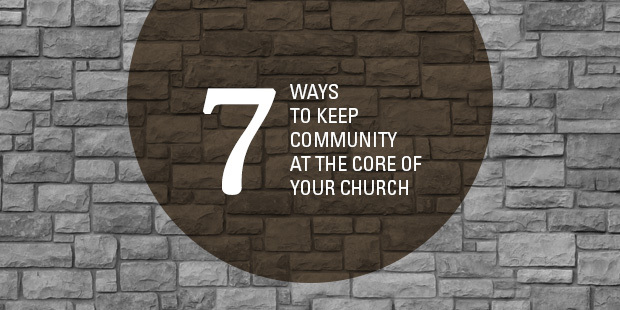 While this remains an “attractional” strategy (connecting people who come to the campus versus going into the community), it is a ripe opportunity each church has to connect with people who are already sitting there. As I listened to the talk (1 of 4 vision Bill is doing for core leader teams) I had a flashback to my arrival to Willow in 1992. 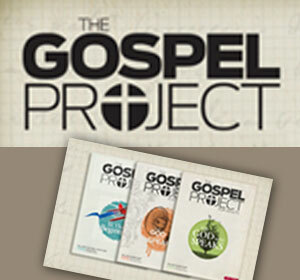 We were laser-focused on making disciples as the central part of our mission at that time. There was much fruit in those days that came from the hard work of hundreds of disciple-makers led by Mark Weinert, Don Cousins, Judson Poling, and many others using a group-based discipleship model. It was a whole-team effort with a clear strategy to support it. What is your infinitive? What a great question! Why? Because you cannot make committed disciples without connection. You can certainly try. Especially if you have a definition of “connection” that is less than personal and relational. Yes, there are non-relational strategies used in closed or persecuted countries, but you can bet there is not one follower in these countries who thrives by being alone. Discipleship requires People-ship. (A word from the Donahue Lectionary of Community-building!). To connect people relationally in groups of 4-10 people for the purpose of growing in Christlikeness, loving one another, and contributing to the work of the church, in order to glorify God and make disciples of all nations. I did not hunt through old folders to look that up. I did not need to…I have it memorized, ingrained in my head from the beginning. TO CONNECT. If you do not connect people, you cannot disciple people. Period. 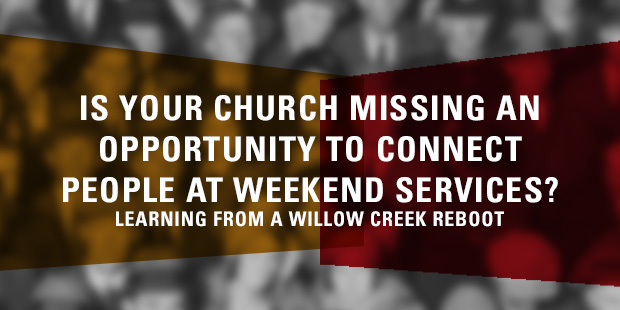 So today…21 years later…Willow Creek is re-focused on a workable connection strategy so that people who arrive unconnected can find a relationship. Such a strategy must be about more than just filling seats at services. There must be an overall disciple-making strategy, equipped leadership, empowered people based on gifts (not just ministry slots to fill on campus), and movement beyond a come-and-see outreach focus to a missional go-and-serve/love/gather strategy off-campus. 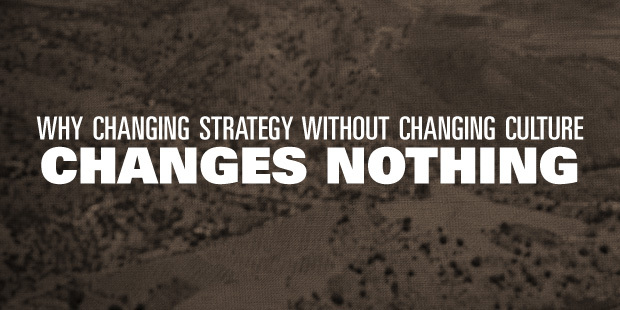 You need a comprehensive approach, and I can help you process that change if you want to chat about that. Remember: You cannot stop at connection…but you cannot start without connection. To reach out to the many disconnected, pass-through people (visiting a couple weeks and out the door a few weeks later), it will provide an essential first step along the path. What are you doing to leverage your auditorium or worship center for connection? Do people feel welcome, known, and cared for during their weekend experience at a service? Are You Building a Ministry Without God? Not long ago CEO Ron Johnson was fired from JC Penney. Brad Tuttle, who covers business and personal finance for TIME believes there were 5 main reasons. If you want to read the online article, click here. 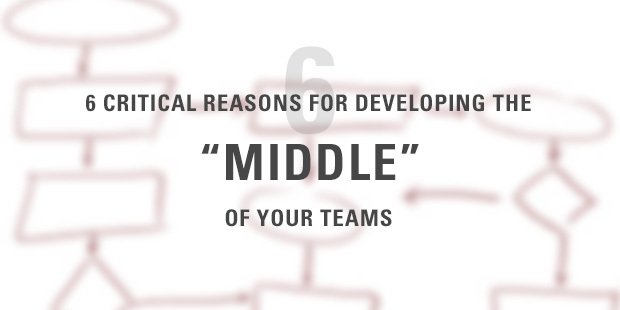 Let’s learn from these leadership mistakes for our teams, groups and organizations. 1) Know your client. Whether you lead a church, auto repair shop, university or grocery store, you had better know who your customer is. A friend of mine is launching a consulting venture. He’s an experienced and successful businessman. But he has worked hard at understanding who his customer is – not hopes to be or can be. But who it is! What kind of person are you speaking to? What are their struggles and needs? How do they make decisions? How can you serve them (not how do they serve your agenda)? 2) Test big ideas. Untested “big splash” ideas often fail. In the 1968 P&G put “potato chips” in a can – a great idea. Millions tried them, but never bought more. They tasted awful. It was not a potato chip, as expected. It was a snack chip. A simple taste test in key markets would have changed everything. A large church asks the congregation to eat only rice, beans and water for a week to understand life in poverty. But many could not participate and felt guilty. These included diabetics, people with illnesses, smaller children, students in rigorous sports, the elderly, and many who labored hours outdoors. But what if leaders allowed the congregation to come up with ideas, tested them for a few days, and then shared choices – like getting to know a poor person, serving the needy at a shelter, wearing the same clothes all week, eating a limited diet, not brushing your teeth, etc. Pick a way, do it and then tell stories about the experience. They misunderstood the client, and failed to test their idea. 3) Engage your core customer or audience. This is a classic error. The new team of leaders or mid-level managers does not understand the culture, existing staff, key volunteers (in non profits), and the core customer base. Instead of first seeking to understand, they ignore both the customer and key insiders, and basically impose a new vision and strategy on the organization. And it’s a mess. If you have been on the receiving end of this kind of “change” initiative, you know why it failed and why it hurt. It takes years to recover sometimes. The Penney turnaround will take some time. But if you invest in customers, it will pay off for you and them. Here’s a good HBR article for more info on that. Poor management was replaced with mismanagement. The core values behind the brand must be carefully considered before re-branding or initiating great change. “We make children smile” is a brand promise you want to keep if you are a toy manufacturer. But HOW you keep that promise can change. Be wise. 5) Respect the organization. If you have been on the receiving end of a leadership transition, you understand how valuable this is when driving change. The brand, core culture, committed employees and loyal customers must be honored. It does not mean that you pretend it was all good. But you can respect the past as you lead into the future. Never let your vision sound like, “Ok, I am finally doing something worthwhile here and will fix everything you’ve messed up for 20 years.” You will place yourself in a bigger hole. Celebrate faithful people, recognize previous successes, and tell the stories that highlight core values you want to preserve. It will help you build the relational and strategic capital you’ll need later to introduce real change. Leadership mistakes are inevitable – but some of them are avoidable. Learn from the mistakes of others. Doing so will limit your own errors and gain you the respect you need to lead well. Is Your Church Microsoft or Apple? I came across an old file in my desk when I was teaching on change and innovation recently. It was a chapter by Peter Drucker on Entrepreneurship in Service Institutions. The book? Innovation and Entrepreneurship, 1985 edition. His insights and observations have relevance to non-profits, graduate schools, hospitals, and a plethora of organizations who are “called to serve” others. We must remember, says Drucker, that we are called to maximize rather than optimize our impact. We cannot say things like, “We committed to healing every person who needs care anywhere on the planet!” Such missions are not just grandiose but are impossible to complete. You will always be a failure. But if instead the idea is maximizing resources to reach certain people, then that is more realistic. So how do we accomplish our mission with innovation and entrepreneurship at the core? He gives a few guidelines. 1) Make sure you have a clear definition of your mission. Focus on objects not programs and projects. “Feeding the hungry” is not clear enough. “Reaching people who do not know we exist” is too vague. 2) Have clear goals that are attainable. “We are focused on serving 200 new patients in the free clinic this year” is more of what it should sound like. 3) Failure to achieve an objective means the objective is wrong, especially after repeated tries. I see this with people who lay out a grand strategy for developing hundreds of leaders “in just three months” and they fail repeatedly. The objective needs to be right-sized. 4) Constantly search for the innovative opportunity. Because funds are limited, creativity is even more of a need. Creative strategies and use of finite resources will allow you to thrive. The volunteer movements we are seeing are an example. If you can convert your non-profit into a for-profit, Drucker says to do it. 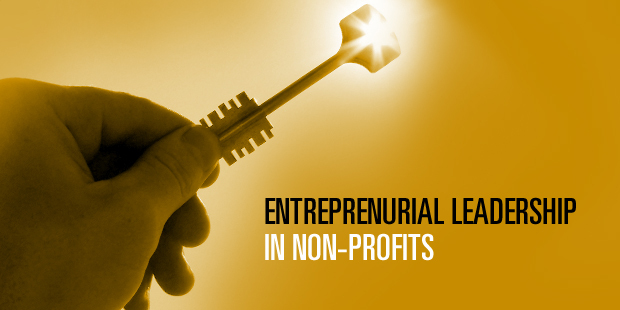 Entrepreneurship and Capital formation is a driver of innovation, and non-profits consume capital rather than form it. This is not true for churches and some groups, obviously. But some aspects of ministry or social work could be shifted so that resources are regenerated for the organization. It is innovation, participation, a sense of urgency and a feeling of real contribution to the cause that keep people connected to your non-profit venture. What are you doing to make sure people are part of the innovative vision you are pursuing? How can you use them without abusing their expertise? Are you seeing their potential to bring innovation not simply implement your ideas. The non-profit service institutions need innovative leaders on the staff and in the volunteer ranks. Let’s rise to the occasion!